Discover our gorgeous blue frost fox handbag is the ultimate combination of soft leather and wild fur. Skilled craftspeople bring our high quality furs together with supple leather to create a winter accessory of unparalleled quality and luxury. and the refinement of the most current modern handbag fashions. who complete this bag with two soft leather shoulder straps, two exterior pockets, and two interior pockets. 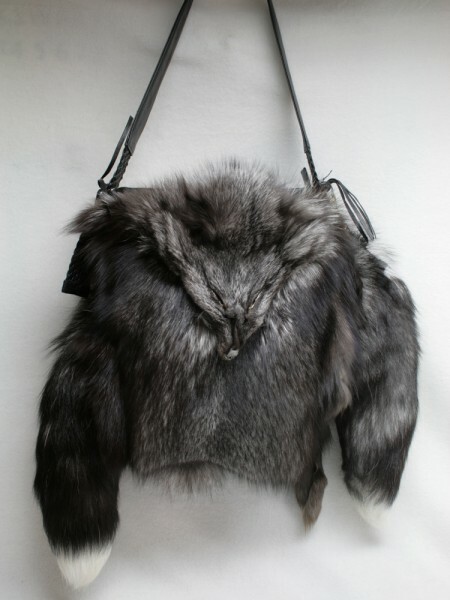 Indulge in the wild distinction and pure luxury of a handbag made of 100% authentic SAGA blue frost fox furs. and come from humanely treated animals. Related links to "Handbag made of SAGA blue frost fox fur"
Customer reviews for "Handbag made of SAGA blue frost fox fur"